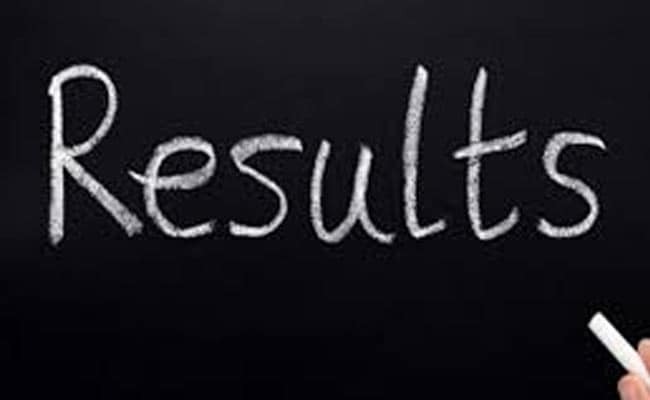 IGNOU result for June term end examination has been declared. The result is available on the official website and can be accessed through the Student's Zone tab on the home page. 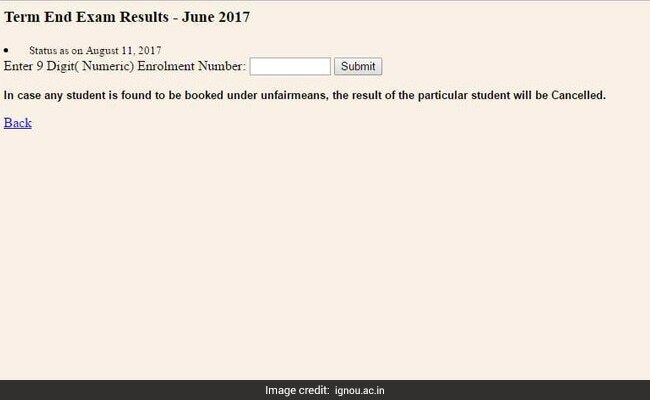 New Delhi: Indira Gandhi National Open University (IGNOU) has released the Term End Examination Result which was held in June 2017. The result is available on the official website and can be accessed through the Student's Zone tab on the home page. Students can view the IGNOUR result either by logging into their individual student's profile or through the results link on the website. IGNOU conducts the term end examination for various courses in June for students who are enrolled in the July session of a course. The IGNOU website, ignou.ac.in, where June term end examination 2017 result was declared is not responding right now (when we checked last). The students may wait for some times since the results links do not respond when large number of users try to access it at one time. Step two: Click on the Student's Zone tab on the home page. Step three: Click on the Term End Examination June 2017 Result. Step four: Enter your 9 digit Enrolment Number. Step five: Click on Submit and view your result. IGNOU has released the marks obtained by students in the term end examination only and will update the marks of the assignments in the student's profile in due course of time. The complete grade card will be updated shortly. The official website also says that pending IGNOU results if any will follow. For students who fail in the exam, the re-examination application form will be available from next month. Subject to provisions, students can fill re-examination form for exam which will be held in December 2017.